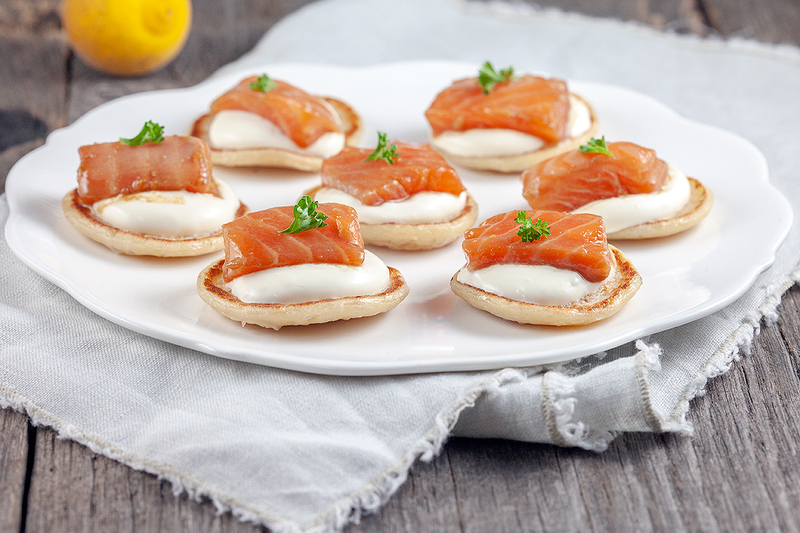 Appetizers with marinated salmon are even better than smoked salmon, don't you think? 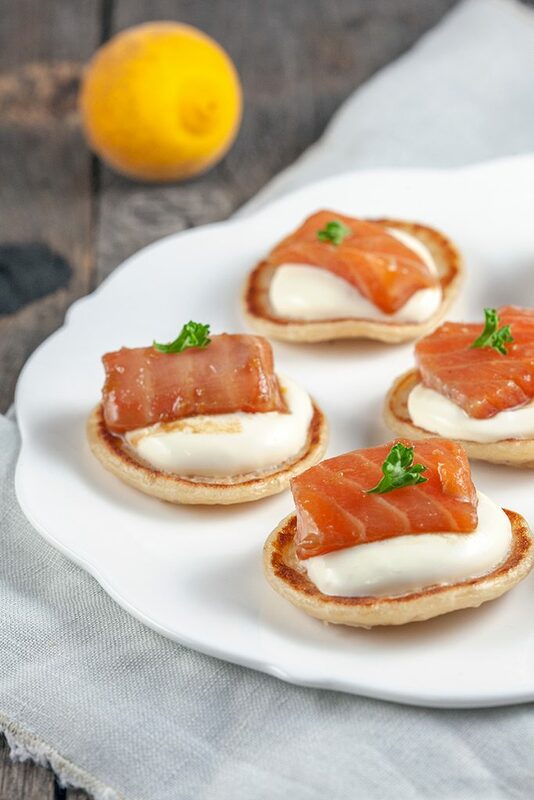 These salmon and yuzu blinis are also great for the Holidays. If you can’t find any yuzu, you can also use any other citrus fruit, the flavor won’t be the same but it would be similar. REMOVE the skin of the salmon and divide into small pieces. 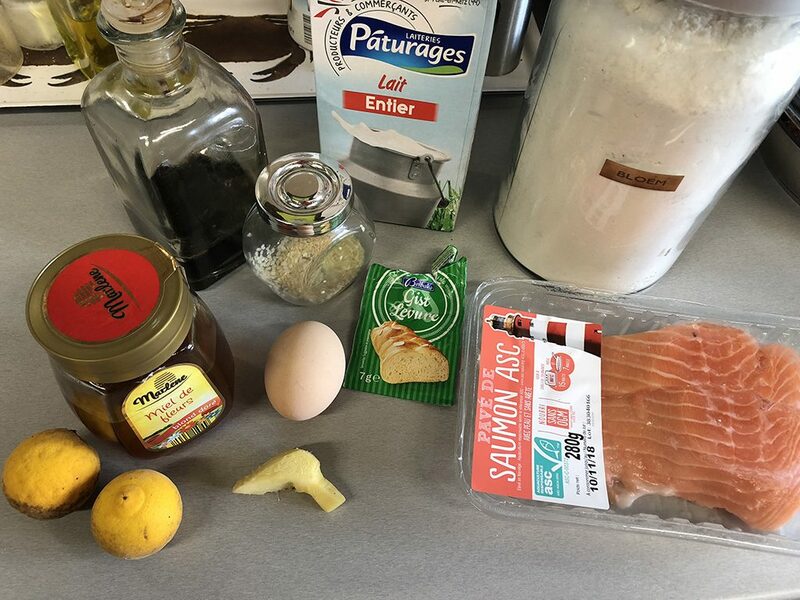 COMBINE 4 tablespoons soy sauce, 1.5 teaspoon yuzu juice, 1 tablespoon honey and a teaspoon of grated ginger root and add the salmon pieces. Let it marinate while you make the batter for the blinis. Classic blinis use buckwheat flour, but `regular` flour is possible too. HEAT up the milk until lukewarm, then add in 1/2 sachet dried yeast. SET aside for a few minutes, until quite foamy. SEPARATE egg yolk from egg white and whisk the egg yolk for 2 – 3 minutes. ADD in the yeast mixture and mix until smooth. GRADUALLY add in flour and a pinch of salt while whisking the batter mixture. PLACE the batter on a warm place for an hour to let it rise. MIX the egg white until stiff and foamy peaks form, scoop this through the (risen) blini batter to make it more fluffy and light. ADD butter in a skillet and create tiny pancakes using the blini batter. COOK for a few minutes on both sides, until golden-brown. COMBINE crème fraîche with 1,5 teaspoon yuzu and SEASON with pepper and salt. 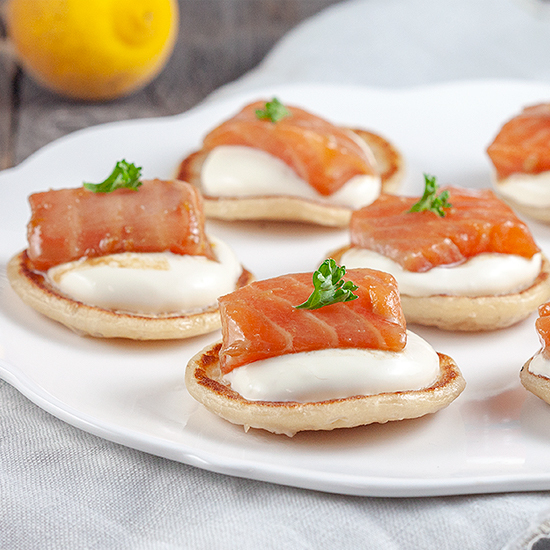 DIVIDE a bit of crème fraîche on top of the blinis and place a piece of marinated salmon on top. GARNISH with parsley or sesame seeds and enjoy!